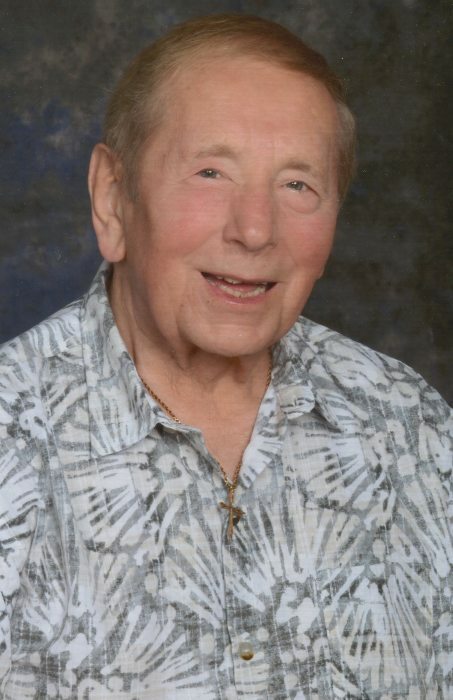 Clement Michalek, age 87, of Franklin, Ohio passed away on Tuesday, November 27, 2018 at Atrium Medical Center. Clement was born in Bytca, Czechoslovakia on October 23, 1931 to the late Ignaz and Maria Michalek. Clement is preceded in death by his wife, Marjorie Wannell Michalek; grandson, Aaron Ringel; brother, Joseph Michalek; three sisters, Pauline Michalek, Verona Veres, Josephine Michalek. He is survived by his daughter, Rita Ringel; son, Joseph (Beth) Matthew Michalek; grandchildren, Angela Tannreuther, Lauren Christie, Matthew Michalek, Natalie Michalek; great-granddaughter, Adalyn Tannreuther. A Mass of Christian Burial will be held on Tuesday December 4, 2018 at 10:00 am at St. John Catholic Church, 1405 First Ave, Middletown, Ohio 45044. Burial in Salem United Methodist Church Cemetery on Wednesday December 5, 2018 at 1:00 pm. Visitation will be held on Monday, December 3, 2018 from 5:00 pm-7:00 pm at Anderson Funeral Homes, 1357 East Second Street, Franklin, Ohio 45005. In lieu of flowers, donations can be made to St. John Catholic Church. Local arrangements are entrusted to McKinney-Brown Funeral Home with an online guestbook available at www.mckinneybrown.com.